These days it is not uncommon to find a stain in smiles. Especially among certain area people. Almost every other person seems to suffer from dental issues in Fluoride endemic areas. Most of the times white spots on teeth are evident among people. But still they tend to be casual about it. Often, one could get alarmed by an appearance of sudden white spots on teeth. Though in other times, someone may have them as long as they could recall. 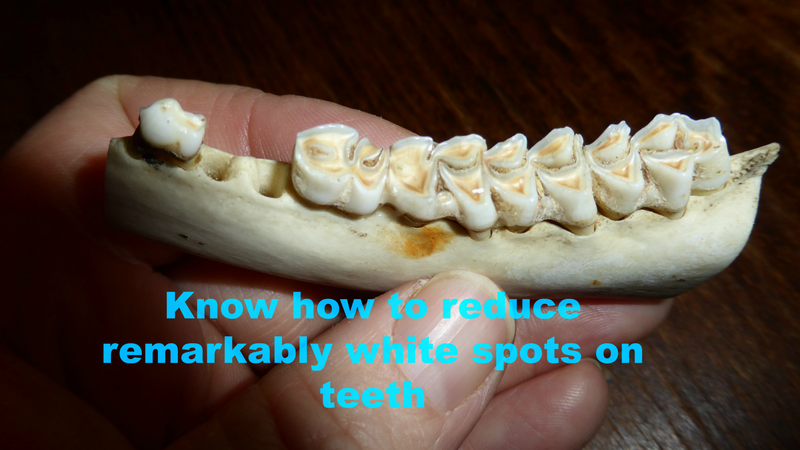 In the latter cases, the probable reason of the white spots on teeth is endemic. Many geographies have a high concentration of Fluoride. This is one the major reasons for the cause of dental fluorosis in those regions. White spots on teeth are the preliminary signs of dental fluorosis. In the initial stages, one can notice white spots on front teeth. An advanced stage of dental fluorosis leads to brown spots or yellow parallel lines on teeth. These are the outward signs of an impending issue of fluoride intoxication. Consuming water with high concentration of Fluoride causes its intoxication. The excess amount of Fluoride interferes with the body’s calcium absorption ability. Though these white streaks on teeth are cosmetic issues; it affects one of the organs of the body. The situation calls for a resolution! The answer is a big NO for dental fluorosis. But it can be for skeltal fluorosis. White spots on teeth are the initial stages of indication of dental fluorosis. But if detected by a dentist and an according prevention procedure commences. Then it is most likely to get better. Along with that one must consume fluoride free water and calcium rich food. Then the white spots are more likely to reduce. Did that raises an iota of suspicion to you? Then let me tell you a story related to one of our cases studies on Fluorosis. All dental fluorosis cases do not manifest in to Skeletal fluorosis. What we have seen in a case study is a reversible case of skeletal fluorosis. But not always for the cases of dental fluorosis. Dental fluorosis is the initial telltale signs of fluoride intoxication. In fact it gives a warning sign to the bigger impending issues. One of them being skeletal fluorosis. But not all the cases of dental fluorosis manifest to skeletal fluorosis. Our team worked in a remote village in India (Jhabua) on one such case. We were able to improve the condition of a child who suffered from skeletal fluorosis. This we did with improvement in his diet. A dose of nutritious food brought a significant change in him. The 5 year limping child began to run within few years. Just as a miracle would sound. But the miracle did happen. Hence, the advanced stages of fluorosis are reversible when identified at an earlier stage particularly among children . Though skeletal fluorosis in higher age groups is difficult to reverse. But it did get better in some cases after surgery. That leaves a lot of optimism for the white spots on teeth. Since these representrepresnt the initial stages of the disease. The solution to the issue is manifold. The problem requires a combat from different angles. That includes a combination of immediate treatment along with recovery and prevention. They include the following as listed below. A visit to a dentist seems a prompt solution for any dental abnormality. They could prescribe you a fluoride free toothpaste. Also, they may suggest a cosmetic treatment. Most of the times scaling and bleaching involve those treatments. These procedures are expensive and do not stay for a long time. Though as the name suggests, that could only treat the problem on the surface. Hence, dental surgery forms the immediate treatment part. Though a problem as deep as dental fluorosis requires much more. Hence, comes the other two approaches. Recovery and Prevention. We are fortunate that both of them are possible through food alone. Food has healing properties besides giving satiety to hunger. Foods rich in Calcium and Vitamin C are a savior in this case. Besides, the ones that remove toxins from the body also help with Fluorosis. Calcium rich foods provide nourishment to teeth and bones. They help recover the lost calcium due to fluorosis. Hence, with their regular consumption one notices improvement in the skeletal system. Food rich in ascorbic acid (Vitamin C) helps in better absorption of calcium in the body. Hence, it is important to increase the consumption of such foods. They increase the body’s ability to better keep the calcium. Example — Green leafy vegetables, nuts and dairies for Calcium. Indian gooseberry (amla), Guava and Lemons for Vitamin C.
Foods that detoxify help to reduce the deposits of Fluoride. Hence, they act as a source of prevention from fluorosis. There is hope for people who suffer with white spots on teeth. A visit to the dentist helps. But a long-term fix to the situation is a few dietary alterations. Foods rich in calcium, vitamin C and detoxifying properties help. Hope you like this article on how to remove white spots on teeth. To know more about such topics, follow us here and here. And please do not forget to like, recommend and share. To stay updated on issues related to water and health, you can visit our website. We are also active on our social media handles, would love to answer your queries here and here.